Under what conditions and in what context did Luther initiate the Reformation? 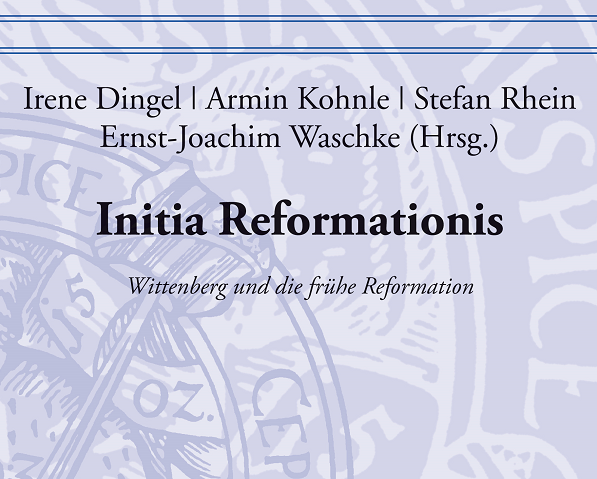 These questions are answered in this volume with contributions of seventeen Reformation experts: Initia Reformationis. 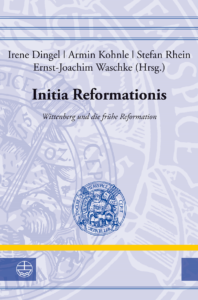 Wittenberg und die frühe Reformation, edited by Irene Dingel, Armin Kohnle, Stefan Rhein und Ernst-Joachim Waschke. The anniversary of the Reformation directs our attention not only to Martin Luther as a person, university professor, theologian and preacher, but also to the conditions which made his impact possible, as well as the milieu in which he was acting. For exploring these topics the beginnings of the Reformation and the locale in which they took place, Wittenberg, are of particular interest. The essays collected in this volume are dedicated to the context, the conditions in which these historical factors developed, as well as the impulses that were set in motion by the early Reformation and their – long-term – impact. The overarching political and theological conditions, and the associated aspects in popular piety and media, are discussed alongside life in the town and at the university of Wittenberg as a microcosmos of the early Reformation.